Product prices and availability are accurate as of 2019-04-21 13:24:20 UTC and are subject to change. Any price and availability information displayed on http://www.amazon.com/ at the time of purchase will apply to the purchase of this product. Author Bookstand is proud to offer Minnesota American Indians by Bookstand Publishing. Bookstand Publishing offers books by the best indie authors throughout North America and the world. Bookstand Publishing is dedicated to offering original content to a broad audience and promoting great authors, literacy, and freedom of expression. Minnesota American Indians has generated a lot of interest and excitement and we think it would be an excellent addition to your library. Writing a "fact filled" book takes away some of the warmth and affection the author feels about his days as Executive Director of the Minnesota Indian Economic Development Fund. Coming relatively late in his life, he has described his travels to the Minnesota reservations as some of the best days of his life. His frequent car trips to the eleven Minnesota reservations were always long, but equally rewarding as he gained the trust of clients of the Fund. He did this by sitting down with them (generally at their kitchen tables) to discuss their entrepreneurial aspirations, often followed by more trips to offer technical assistance and, ultimately, funding, to allow the development of their dreams. Contemporaries of the author will appreciate the accuracy of his depictions, and brief descriptions of Indian life in this book. 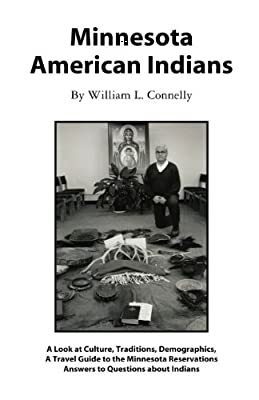 Given the opportunity, he would like to spend more time describing what life is like on the reservation from an outsider's viewpoint, but uses this book to challenge his readers to learn more on their own and formulate their own thoughts. 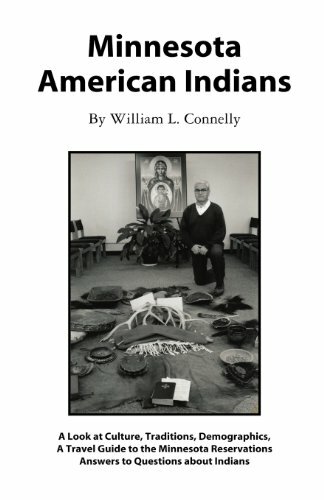 Younger generations, including students, can use this book as a tool or springboard to contemplate and learn more about Indian life, culture, and heritage on the reservations -- with the full understanding that increased knowledge is the key to better understanding of any culture that is not their own.